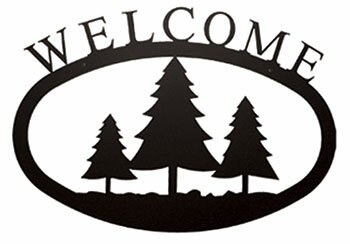 Welcome guests into your home with this welcome sign, featuring a pine tree silhouette. It is created of wrought iron. 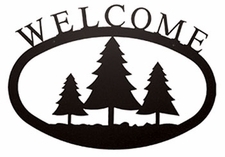 The baked-on powder coating assures years of protection in an outdoor environment.